Toshiba introduces exclusive and FDA-cleared CT Myocardial Perfusion on its Aquilion ONE and Aquilion ONE ViSION Edition CT systems. TUSTIN, Calif., March 12, 2014 – To improve cardiac diagnoses with simplified dose reduction technology, Toshiba announces the FDA clearance of its industry-exclusive CT Myocardial Perfusion capability. Available on Toshiba’s AquilionTM ONE and Aquilion ONE ViSION Edition CT systems, Myocardial Perfusion allows clinicians to visualize myocardial ischemia with CT, providing a clinical and operational solution to make work flow. The Myocardial Perfusion on Toshiba’s 320-detector-row CTs shows blood flow and anatomy within the coronary arteries to help determine the viability of the heart muscle. This enables clinicians to make faster and more accurate decisions on whether to undergo revascularization of coronary blockages. Toshiba’s CT Myocardial Perfusion puts patient experience first with shorter exam times and significantly lower radiation exposure, when compared with traditional coronary artery disease (CAD) evaluation methods. Toshiba will showcase its Myocardial Perfusion technology at this year’s American College of Cardiology (ACC) annual meeting in Washington, D.C., March 29–April 2, 2014 (Booth #2323). With headquarters in Tustin, Calif., Toshiba America Medical Systems (TAMS) markets, sells, distributes and services radiology and cardiovascular systems, including CT, MR, ultrasound, X-ray and cardiovascular equipment, and coordinates clinical diagnostic imaging research for all modalities in the United States. 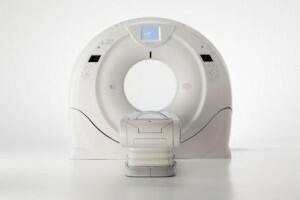 For more information, visit the TAMS website at www.medical.toshiba.com. Toshiba Medical Systems Corporation is a leading worldwide provider of medical diagnostic imaging systems and comprehensive medical solutions, such as CT, X-ray and vascular, ultrasound, nuclear medicine and MRI systems, as well as information systems for medical institutions. Toshiba Medical Systems Corporation has been providing medical products for over 80 years. Toshiba Medical Systems Corporation is a wholly owned subsidiary of Toshiba. Visit Toshiba Medical Systems Corporation’s website at www.toshibamedicalsystems.com. Toshiba is a world-leading diversified manufacturer, solutions provider and marketer of advanced electronic and electrical products and systems. Toshiba Group brings innovation and imagination to a wide range of businesses: digital products, including LCD TVs, notebook PCs, retail solutions and MFPs; electronic devices, including semiconductors, storage products and materials; industrial and social infrastructure systems, including power generation systems, smart community solutions, medical systems and escalators & elevators; and home appliances. Toshiba was founded in 1875, and today operates a global network of more than 590 consolidated companies, with 206,000 employees worldwide and annual sales surpassing 5.8 trillion yen (US$61 billion). Visit Toshiba’s website at www.toshiba.co.jp/index.htm.